Although I see lots of good reviews about Sleek makeup, I have to date not tried any of their range. 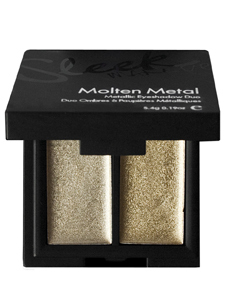 Sleek is introducing Molten Metal, a new cream eye shadow available in a set with two colours - Pewter and Gold and this caught my eye. The cream can be used on the cheek bones, the lips and also as a highlighter. Molten Metal reminds me very much of Illamasqua's cream metalic eye shadows which are gorgeous but are not long-lasting unfortunately, so I would be interested to see if Sleek's version would be as pigmented, long-lasting and crease-free as it promises. Are you a Sleek fan? It is sad that it is only launching after the holidays, as IM sure it would have been a nice Christmas/New Years staple! I have a few Sleek products, and I love them! Would be interrested in trying this one! Steal Her Style – Kylie’s Long Luscious Ponytail! Bargain Alert: Nails Inc Set Today only! Eyeko 24hr Pop-Up Half Price Sale! Vaseline Lip Therapy Sticks Giveaway! 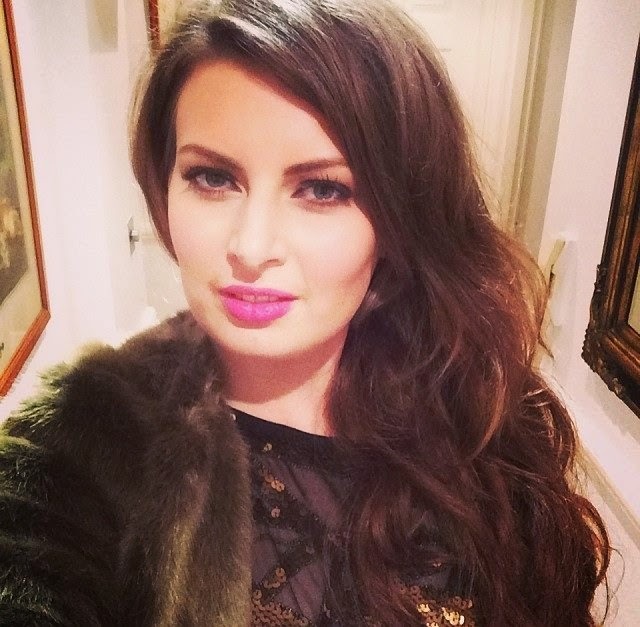 Fancy Winning £40,000 with Paypal?! Help me pick a camera! The Most Expensive Nail Polish In The World! Eyeko Magic Bronzer Brush For Glow on the Go! Fantastic QVC Elemis Offer Today Only! Montagne Jeunesse Face Mask Winner!